The Hyundai Santa Fe is a five- or seven-passenger crossover SUV. The Santa Fe name has been used for several different crossovers throughout its life and is now used on for a five-passenger (Santa Fe) or seven-passenger (Santa Fe XL) SUV. 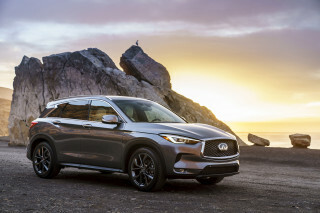 With the 2019 Santa Fe, Hyundai has a rival for vehicles such as the Ford Edge and Explorer, GMC Acadia, and Nissan Murano. With a bigger, butch look, the 2019 Hyundai Santa Fe broke from its crossover roots into SUV-ness. The Santa Fe is now split (again) into two names: Santa Fe and Santa Fe XL. The outside offers a larger grille, topped with a strip of chrome along the front and thin LED running lights. Inside, the Santa Fe is straightforward and modern, with a 7.0-inch touchscreen perched on the dash above the climate controls. The glass and windows are bigger in the Santa Fe, which helps brighten an otherwise dark interior. The five-seater Santa Fe is equipped with a 2.4-liter inline-4 and 8-speed as standard, and a 2.0-liter turbo-4 is optional. On three-row SUVs, a 2.2-liter turbodiesel is available, a first for Hyundai in SUVs in the States. The Santa Fe is offered with typical options such as bigger wheels, bigger infotainment, softer seating surfaces, and active safety features. Hyundai won't make automatic braking standard on all models, however. 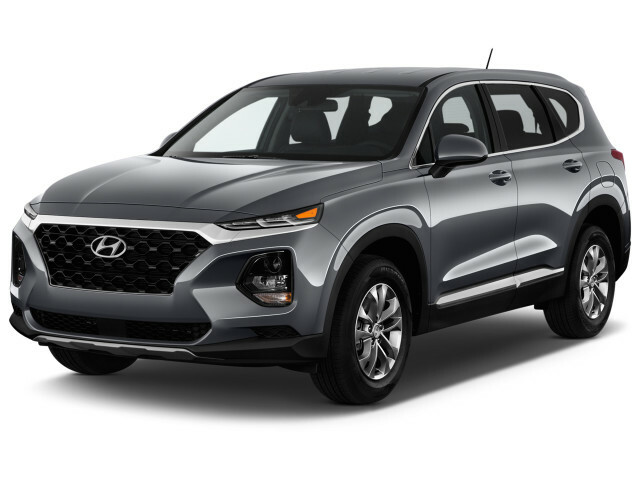 Until 2018, Hyundai's two Santa Fe crossovers shared a platform, but had different wheelbase measurements and featured different powertrains and were essentially two separate vehicles. In either version, the Santa Fe adopted some of the cues of the Sonata and Elantra, but it was toned down significantly, with a new maturity to the look both inside and out. It was especially true for the three-row model, which competed against vehicles with more traditional, boxier designs. The shorter Sport came only with 4-cylinder engines, while the three-row Santa Fe recieved a 3.3-liter V-6 good for 293 horsepower. The Santa Fe Sport's base 2.4-liter made 190 hp; an available turbo 2.0-liter inline-4 made 264 hp. All engines were mated to a 6-speed automatic with a manual shift mode and front-wheel drive, with an option for all-wheel drive. 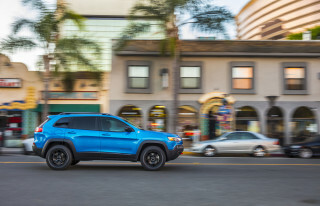 Gas mileage on the Sport rises was as high as 29 mpg highway, thanks to the newer, more efficient engines and other additions like electric power steering. Like several other models in its class, the Santa Fe added flexibility to its interior package with an available sliding second-row seat. The seat also folded for toting longer objects while preserving four seating positions. With a base price in the mid-$20,000 range, the Santa Fe Sport included standard Bluetooth, but a rearview camera wasn't made standard on all models until 2017. An audio system with satellite radio and a USB port is also standard. Options include a well-executed navigation system, a panoramic sunroof, and Infinity audio. 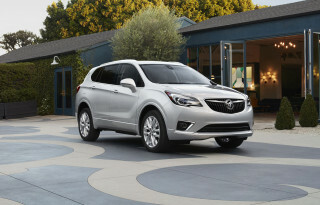 Equipment is similar on the longer Santa Fe, with prices rising into the high $20,000 range, base. The 2013 Santa Fe Sport was one of a set of vehicles found to have overstated fuel-economy numbers. Hyundai's initial estimates of as much as 33 mpg highway for the new 'ute have been lowered, after tests run by the EPA. Owners can register with Hyundai to receive reimbursement for the gas consumed above and beyond expected levels; more details are found at HyundaiMPGInfo.com. 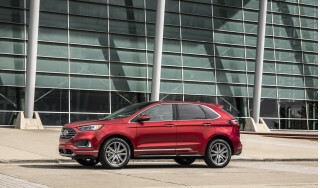 The Santa Fe and Sport received only minor updates through the 2018 model year. For 2017, the model received a significant face lift, and minor structural changes that helped make it a Top Safety Pick+ by the IIHS. On its debut in 2001, the Santa Fe was powered by either a 2.4-liter 4-cylinder engine available with a 4-speed automatic or 5-speed manual transmission, or a 2.7-liter V-6 paired only with the automatic. Front-wheel drive was standard, though all-wheel drive was available as an option. A 3.5-liter V-6 engine option was added to the lineup in 2003, and that first Santa Fe had only minor styling changes through the 2006 model year. 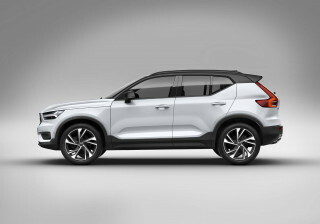 Three trim levels were available. The Santa Fe's second generation launched in 2007 with a revised lineup of engines: a 2.4-liter 4-cylinder, a 2.7-liter V-6, and a 3.3-liter V-6. The 2.7-liter was the only model available with a manual transmission; all others were paired with a 4- or 5-speed automatic. For 2010, powertrain choices were again reshuffled, with a 175-hp, 2.4-liter 4-cylinder made standard and a 276-hp, 3.5-liter V-6 and a new 6-speed manual and a 6-speed automatic added. That same year, however, a small third-row seat was dropped and the last three years of this Santa Fe were offered with only two rows. From 2007 to 2012, Hyundai offered the Santa Fe in three trim levels, each with its own specific engine options. The base GLS came standard with the 4-cylinder engine and a 6-speed manual transmission, while an automatic was available. SE models came only with a 3.5-liter V-6 and automatic transmission. The Limited was available with either engine but came only with an automatic transmission. Front-wheel drive was standard on all models, with all-wheel drive available with any automatic-transmission combination. This second Santa Fe was sold much like other recent Hyundai vehicles—in relatively few build combinations, and with a strong list of standard features. Lots of research (spreadsheets were heavily involved!) went into my car buying decision and in the end I couldn't find any vehicle even close to $40k that provided the same levels of features I could get on... Lots of research (spreadsheets were heavily involved!) went into my car buying decision and in the end I couldn't find any vehicle even close to $40k that provided the same levels of features I could get on the Santa Fe Ultimate. Really like the car but dated the ride!